The original buildings are long demolished, with the exception of the pathology building, now used as the Indiana medical history museum. The current buildings include the pathology building, power house, amusement hall, workshop, administration building, about five residence halls dating from around the 1950's-1960's, and an unknown building(s) used as the police motor pool. 7/24/04: A clarification of the buildings on the property. Currently there are three residence halls, admin, carpenter shop (workshop), men's rec building (amusment hall), kitchen/dining hall, new power plant, old power plant, Red cross building, pathology building, campus hotel, old laundry building, some maintenance buildings used by the police and a few cottages near the edge that are now homes. Around 36 building structures total. Accessibility: Depends of the building. Each Gallery will be noted for difficulty of access. Corner of W. Washington/Warman Ave. Architecture, historical significance. Each gallery will be noted for individual features. Depends on the building. This is a large parcel of land and most buildings are not near the main roads. However, Some buildings are still active (medical history museum) AND one or two buildings are used as the POLICE MOTOR POOL. Cars, police and civilian, are common, people wandering around are not. Be alert and cautious when entering/exiting the abandoned buildings. Will be noted on each gallery. While the Indiana legislature had authorized the establishment of a "hospital for the insane" as early as 1827, the doors of the Indiana Hospital for the Insane (later re-named Central State Hospital) did not open until November, 1848. At this time, the hospital (called the Central Indiana Hospital for the Insane after 1889 and then called Central State Hospital after 1926) opened with five patients and a single building, and by 1928, physicians cared for nearly 3,000 patients. At that time, the hospital consisted of one brick building situated on a large parcel of land, numbering over 100 acres, in the outskirts of Indianapolis (on Washington Street, west of downtown). From 1848-1948, the hospital grew yearly until it encompassed two massive ornate buildings for the male and female patients, a pathological department, a "sick" hospital for the treatment of physical ailments, a farm colony where patients engaged in "occupational therapy", a chapel, an amusement hall complete with an auditorium, billiards, and bowling alleys, a bakery, a fire house, a cannery manned by patients, and idyllic gardens and fountains. For a half-century, this complex array of buildings and gardens beckoned to all of the state's mentally ill. By 1905, however, mental health institutions elsewhere in Indiana, built in Evansville, Logansport, Madison, and Richmond relieved an overcrowded Central State Hospital of some of its patient load, leaving it to treat only those from the "central district", an area of 38 counties situated in the middle portion of the state. By the late 1970s, most of the hospital's ostentatious, Victorian-era buildings were declared unsound and razed. In their place, the state constructed brick buildings of a nondescript, institutional genre. These modern buildings and the medical staff therein continued to serve the state's mentally ill, until allegations of patient abuse and funding troubles sparked an effort to forge new alternatives to institutionalization which, in turn, led to the hospital's closure in 1994. 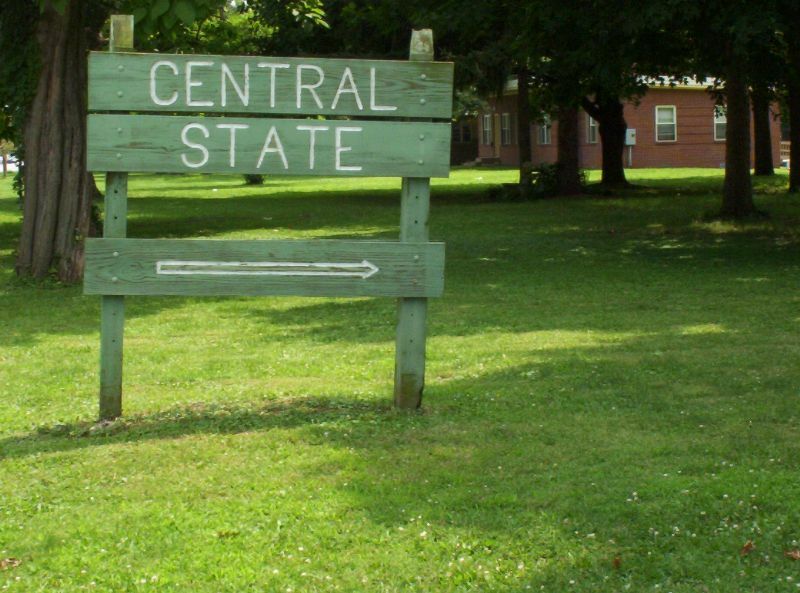 The grounds of Central State Hospital still stand, largely vacant as of 1999. In place of the large male and female dormitories demolished in the 1970s is a large lawn. The Pathology Department building is well-preserved and houses the Indiana Medical History Museum. Additional note: It has been related to me that after the facility closed in the early 90's, the dorms were briefly used as housing for the homeless. More from the Admin building. This location's validation is current. It was last validated by Steed on 9/3/2018 3:02 AM. This page was generated for you in 109 milliseconds. Since June 23, 2002, a total of 574076653 pages have been generated.